Netflix's The Rain Gets Full Trailer | Nerd Much? 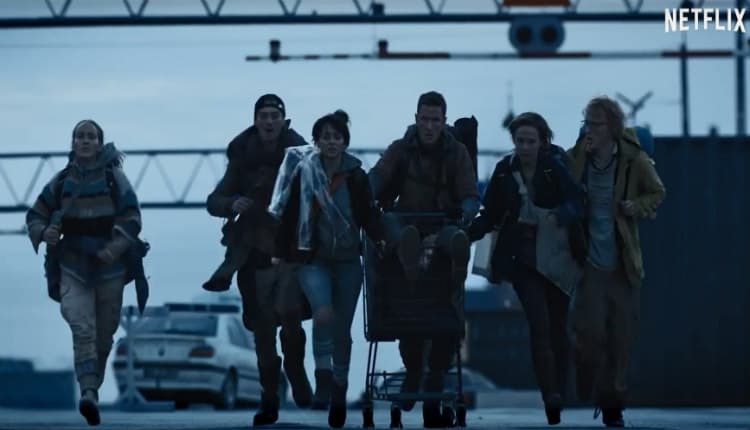 Netflix has finally given us our first good look at The Rain courtesy of a new trailer today. Premiering in May, the show revolves around the idea that humanity has been devastated by a global virus which is spread via rainfall. As the trailer kicks off, a PSA airing over the radio describes a plethora of people suffering “acute allergic reactions and respiratory problems.” The problems are noticed to occur after heavy rainfall. We soon learn that the virus intent on wiping out humanity is airborne and transportable via precipitation. We’re then introduced to the duo that appear to be the primary focal point of the show, Simone (Alba August) and her brother Rasmus (Lucas Lynggaard Tønnesen). Their father looks to be a scientist of sorts. He looks to be hiding his children in a sanitized underground bunker. “I’m the only one who can fix it”, he tells Simone. “No one can find Rasmus. He’s key to it all.” Their Dad then dons a hazmat suit and ventures back to the outside world. “I’ll be back as soon as I can”, he promises. After five years, he still has returned. A much more mature Rasmus and a reluctant Simone decide to leave the safety of their bunker and explore the unknown. As you can imagine, things quickly go awry. They’re abducted at gunpoint by a group of survivors. But while they may seem rough on the exterior, the group looks to be our protagonists of the show and eventually befriend the siblings. Simone tells the group’s leader, Martin (Mikkel Følsgaard) that her only concern is Rasmus. It’s apparent that the boy has an immunity to the virus that has ravaged Earth. Their father was likely attempting to utilize said immunity before he vanished from their lives. But Simone and Rasmus’ attachment to the group is causing waves with some of the others. “She’s twisting your head, Martin. Does she own you now?” says another male member of Martin’s group. It’s clear that the arrival of these siblings will change the dynamics for everyone involved – in both good and bad ways. The Rain begins streaming on Netflix May 4th and consists of eight episodes. The show is acted in Danish and will utilized English subtitles.